Coming from a family of violinists, Jens Elfving is a versatile musician and multi-genre performer who has played for audiences all across Europe and the United States, including Carnegie Hall in 2015 with Anne-Sophie Mutter and The Danish National Symphony Orchestra. Trained in the Suzuki Method, Jens began his violin studies at the age of 4. He continued his education and graduated with a bachelor’s degree in music (violin performance) from the Royal College of Music in Stockholm and a master’s degree in music from The Royal Danish Academy of Music. He has received numerous scholarships from Sweden and Denmark to support his musical development and he is an enthusiastic soloist, chamber musician and orchestra player. Jens has performed with several professional orchestras such as The Danish National Symphony Orchestra, The Danish National Chamber Orchestra, Copenhagen Phil and Musica Vitae. In Denmark he has performed in the music theatre pieces The Endless Labyrinth and Münchhausen by Mathias Madsen Munch. In Sweden he works as a Suzuki violin teacher at Gothenburg School of the Arts. 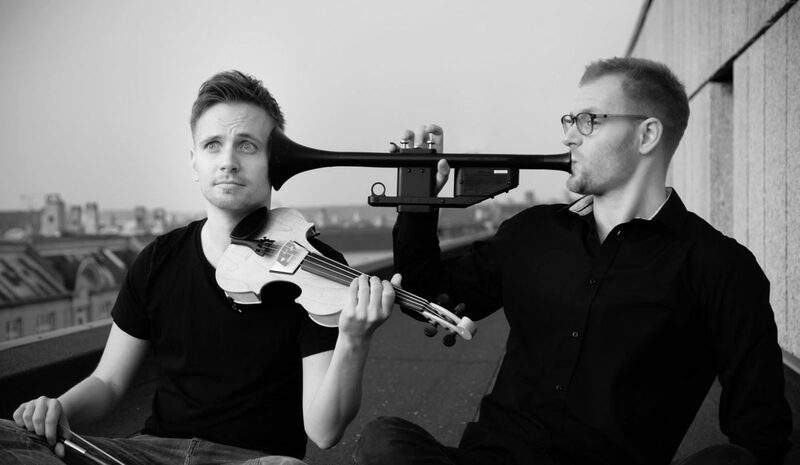 Jens technique of violin playing is influenced by Alexandre Zapolski, The Royal Danish Academy of Music and his teaching method is inspired by his father Leif Elfving, Suzuki teacher trainer. Jens is composing and producing music in his studio as well as performing live. He has made string arrangements and recordings for Danish Radio Koncerthuset, Dalhalla, Symphonic Film Composers, Remulus Entertainment, Bottled in England, P-Floyd, Nicklas Schmidt, Troels Alsted, Mathias Madsen Munch, Johannes Ettrup, Andreas Vetö and Nick Martin. Jens plays a modern Nicolas Gilles violin. He also plays an Elvari Violin, an unique electric instrument he developed together with Sten Styrélius, violin maker in Stockholm.